Interior. Design. Architecture. Lifestyle. Society. CASA in Italy has been around for many years amongst the best Italian interior design magazines. This has been made possible by the comprehensive contents/style of the editorial formula which is capable of satisfying the reading requirements of extremely demanding readers. Now, published in Indonesia, Bravacasa Indonesia will be a magazine in constant evolution following the changes in their target reader's need for information. A distinguished magazine that deals with all the themes of interior architecture design, all kinds of rooms, products, furnitures, the latest styles and inclusive of the hottest items from bathrooms and kitchens. 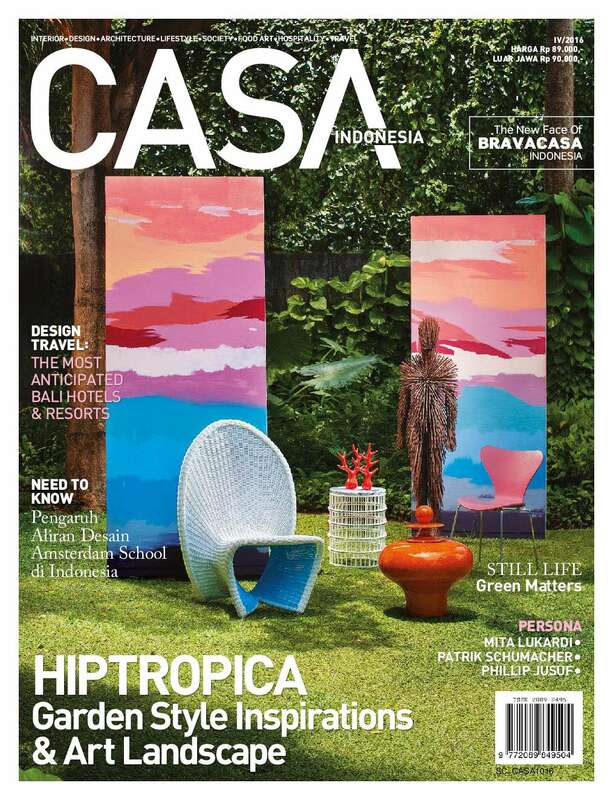 With its motto "Design For Modern And Stylish Living", Casa Indonesia thrives to always be the best for its readers. The present of Casa Indonesia with its contents enters a new dimension of 'living'. It promotes and celebrates the diversity of great design and ideas. The richness of Casa Indonesia is definitely a perfect magazine that shares the whole concept of stylish and sophisticated living. It has exclusive information about style/design solution, special articles, review, decor inspirations and lifestyle (art,travel, party and society).